Reminiscent of candy peach rings, taste the sweetness of the ripest peaches down south. This is not your average Peach vape juice. On first vape you will taste the flesh of the plump southern peach, then comes the juicy pulp in the middle, finally as you exhale you taste the difference in peach as you get closer to the pit. For dessert, touch your lips together for a little candied sweetness. Julia – 5 Stars – Not only does this e-nectar deliver a fantastic sweet peach flavor, it also has a phenomenal throat hit. I have no idea why that would be, but Key West is the perfect organic eliquid for peach lovers. Tom – 5 Stars – The authentic flavor of peaches was not hard to believe, it is or ganic flavoring after all, but it was still surprising to me that it was a full as it was. This is an eliquid that will not disappoint peach lovers. Keira – 5 Stars – I did not read the descriptions to any of these e-nectars so I was expecting a Key Lime flavor. To get across the purity of flavor I’ll you that despite my mind thinking I was about to taste a lime flavor, on the exhale I knew instantly it was sweet peach. No confusion, just sweet peaches. Jason – 5 Stars – I don’t know what a candy peach ring is, never even heard of it, but I know what this tastes like and to me this tastes like I took a tree-ripened peach and vaporized it and breathed it in. If you take a good long drag from any piece of hardware you’re also going to get one heck of throat hit. Not a harsh one, but a solid one. Surprising and delicious. The perfect tasteI cannot describe how yummy this flavor is except that I absolutely love it more than anything Ive ever tasted from a vape juice before. Thank you for this gem! absolutely amazingDidn't do the aeration and just loaded it up into a fresh coil. Took a huge inhale, didn't taste anything and was a little disappointed. Then I exhaled a fat cloud and all the flavor came rushing in. The taste is absolutely amazing. 100% tastes like peach candies. I'm on a ketogenic diet and can't have any sugar and this juice 100% sates my sweets cravings as well as my nicotine cravings. 11/10 juice will buy again. Actually, I have change my mind!I originally gave this a one or two star review for chocking me. Even after breathing, it was still harsh. I bumped up my mod another 10 watts and it was better but not good. Now as I am vaping it, the flavor is getting better and is actually quite tasty. Maybe it needed more time to soak the wick? Not sure. Peachy KeenIf you love the smell of peach or even the taste of those peach ring candies you can't go wrong with this flavor. Its a great blend and very smooth. Not overpowering with peach flavor. It was one I tried as a sample and still order it every time I reorder my vape juice. Really greatTastes exactly like you want a peach vape to taste. The natural flavoring used is amazing. Other peach flavos have a chemical after taste none of that with this. Definitely an adv. For me. This is one of 3 flavors I've found that I truly like. Wow!I enjoyed this e-juice so much. Their is nothing but natural peach flavor. No sugar or milk or cream, which so many add. Just peach! 100%VG and organic! Do i really need to say more? Alex from the 305. ???? NiceGreat peach flavor. Love this company and all of the flavors. Real quality and concern for the whole line. Thank you Kind Juice! Keywest SunsetThis flavor is perfect. It is such a fantastic, mouth watering treat. You'll find yourself vaping just to relive the rich, deep south perfectly ripened peach that was plucked fresh right off the tree. It's such a exquisite flavor. You will not find any vape juice that would eclipse this. Wonderful!This flavor is a true peach flavor. No artificial taste at all. I love it alone or mixed with the organic lemon eliquid I purchase locally. If you like peaches you won’t be disappointed with this! Tastes like sunshineI originally purchased this one in the castaway sampler pack and immediately bought more. Very flavorful! Explosion of Goodness!This is an explosion of sweet, ripe, sun drenched, peachy, goodness. Prepare to do a tripple flip from a high diving board into an Olympic sized swimming pool of sweet and tangy organic peach nectar! PeachyWow! Been vaping another flavor by another company I thought was the best...I was wrong, this is so much better. Nothing but sweet peach. I can’t wait to try more. Great!The single greatest juice I have ever vaped. Clean Vape. DeliciousI tried this in a sampler pack and loved it! Blown Away!!WOW! The flavor and quality is amazing. I was buying from another company and while their flavors were okay, they were a little bland. First time trying Kind Juice, Key West Sunset reminds me of peach gummy rings. I really appreciate what you guys are doing and I'm definitely looking forward to trying more of your flavors. Peach CandleTastes like a peach scented candle smells when not lit ; steeping may help that. Chokes my up / makes me cough more than other juices. Not horrible, just not the best. Very viscous and quality. Would still like to thank Kind Juice for making ejuices for people with allergies. Not badThis stuff is usually my favorite, tastes just like the gummy peach rings. Although, this time around it had kind of a funky taste compared to the first time i received it. I did let it breath for 24hrs +. FAVORITE EVERRR! !I'VE TRIED SO MANY DIFFERENT FLAVORS AND BRANDS I COULDN'T KEEP TRACK EVEN IF I WANTED TO. BUT THIS RIGHT HERE?! I'M PRETTY SURE THIS WILL BE THE ONLY JUICE I BUY FROM HERE ON OUT!! IM THAT CRAZY ABOUT IT!! LOVE LOVE LOVVVEEE KEY WEST SUNSET! THANK Y'ALL SOO MUCH FOR CREATING SUCH AN AMAZING PRODUCT!! ****Kind Juice would recommend letting the bottle aerate for 24 hours. DeliciousAlways 5 star for KindJuice, you can tell they truly care about their product. I'm hooked! Key West SunsetThe flavor (Key West Sunset) is so yummy, taste just like the peach ring candy. It's not harsh on your throat like most products I've bought. Smooth, delicious and the amount of smoke you get is pretty darn good. Oh did I mention the flavor oh my gosh!! I will definitely recommend to a friend, neighbor or even a stranger. Thanks Kind Juice for such an amazing product. Yum yums 🙂Peachy deliciousness! ? Add the fact that it's organic and from an awesome company and you can't go wrong. bottles and fast shipping. So relieved I will not be going without my faves!!! So good!I love peach and when I tried this I was amazed! It tastes like real peaches. I used to smoke cigs but have no desire going back to them after trying this. Definetly recommend! Great flavor! !This company is the best! I ordered a variety pack and found Key West Sunset the best. Tastes wonderful! NormallyNormally don't like peach anything but this stuff is great. Peachy vapeKey west sunset is on my favorite list. I pretty much get my fav 3 all from KJ. There isn't another company that's fast and great. I only vape 100 vg organic juice / nectar. You got to try this this peachy treat for yourself, you will not be sorry. PEACE. PEACHY PERFECTION!Outstanding flavor! Slightly sweet on the inhale, peach madness on the exhale. I tried a bit of this mixed with Pirate's Gold (another amazing flavor) and it melded beautifully. Kind juice is the best juice, period. Feeling PeachyFeeling like I drove to Georgia and picked the peaches myself. I'm so glad I chose Kind Juice. Definitely ordering very soon. %15 off too. absolut best Peach flavour !!!! after steeping for 2 weeks , tried it today , bang !!!! what a mouth full of peach candy , just so good !!!! Shipping to Australia with UPS on a standard 20$ delivery got here in only 5 days ! Perfect Taste , Perfect Service and Delivery !!! Will keep ordering with u ! Sweet treatThis one packs a sweet punch. I love the full peach flavor and smoothness it brings. All the flavor of Kind Juice are fabulous but this is tops! Very Tasty!Like all the Kind Juice flavors, this one is subtle and very tasty! Sometimes I mix in a little butterscotch. Flavor BlossThe most authentic peach flavor I have had Ever! Whoever is behind the design of Key West Sunset has set the new industry standard for which all peach flavored ejuice should be judged! This has instantly become my ADV of choice from the instant flavor to the nice throat hit, if you love peaches and think your current juice can't be beat! I challenge you to try Kind Juice Key West Sunset!!! You will not be disappointed! Kind Juice, you guys rock! Key West SunsetKey West Sunset is my favorite. Started with 12mg, and have tapered down to 0mg, currently mixing that with 3mg. It really tastes like peaches , and I feel so good knowing it is pure. Very satisfied with your products. Will be buying from you exclusively because they're the best I've found. Key West Sunset 15mLI love the complexity of this juice. It has the flavor ofa juicy peach with a delightful sugar aftertaste. Definitely one of the most flavorful juices I have tried. Bought it at Vape Blast and wished I would have bought more. Glad I can order it online. Key West Sunset 15mLThe flavor in all of their juices are just amazing. 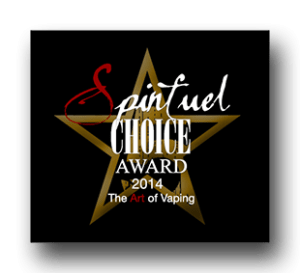 The fruit flavors taste SO REAL, you find yourself wanting to chew it upon exhale You won't be disappointed with ANY flavor you choose from this company. Key West Sunset 15mLThis is my absolute favorite flavor! Adding a little Alpine Frost or the organic menthol drops gives it a nice menthol kick. Key West Sunset 15mLThis is the second time I've ordered from Kind juice. I absolutely love this juice supplier. The customer service went above and beyond my expectations. They are very helpful and polite. I received the Keywest Sunset juice along with 2 other juices and 1 sample juice. The organic sugar they use had clogged up my dropper and I couldn't use it. I immediately emailed them and within 12hrs of having contacted them, my replacement bottle was here and my husband immediately request that I change his wick and load him up. Our Vape room was full of sweet peach clouds. I love this juice. I would recommend it to anyone! Key West Sunset 15mLI have thoroughly enjoyed this product. It is the first oil that has not burned my throat as I inhale. I also appreciate that it does not unhealthy ingredients. Key West Sunset 15mLRight on the nose. Very reminiscent of peach Jolly Ranchers - it is only missing the hit of citrus. Cannot stress how amazing this company is - from the product to the customer service. Simply fantastic! Key West Sunset 15mLThis is definitely an ADV, on the inhale I get a sweet juicy peach, on the exhale that juicy peach continues but you also get the skin of the peach with the fuzz on it. If your looking for a real peach taste you can't go wrong with this juice. Key West Sunset 15mLI was pleasantly surprised at the flavor of this juice. I will order again and keep it in my stash. Key West Sunset 15mLAwesome stuff! I've had it a day and already referred it! It came with a sample which is a added bonus! My Favorite!Wow! Pirates Gold is so yummy! It tastes just like the description Perfectly aged Caribbean rum and walnut banana bread. Huge vapor clouds! I can't seem to stop vaping! I love this flavor! Key West Sunset 15mLThis came as a sample from another order and it is insane. I am definitely ordering more of this.